Railpictures.ca - Aleks Stefanovic Photo: CN 396 with CN 5716 – IC 1010are setting off flyash hoppers in the Brantford Yard. | Railpictures.ca – Canadian Railway Photography – photographie ferroviaire Canadienne. Copyright Notice: This image ©Aleks Stefanovic all rights reserved. 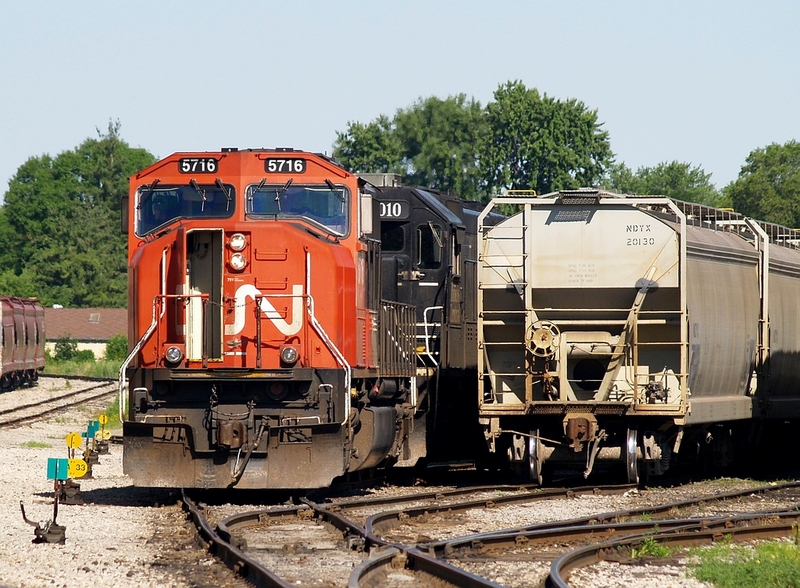 Caption: CN 396 with CN 5716 - IC 1010 are setting off flyash hoppers in the Brantford Yard.